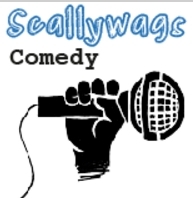 Join us the last Thursday of every month for Scallywags Comedy. The MC is the very talented Jon Wagstaffe. Jon’s claim to fame is that he’s Tewkesbury’s finest (and only) stand-up comic. His take on modern life has audiences in fits of laughter and oh, apparently (according to Jon) “he is devilishly good-looking and has beautiful hair.” Add to that new acts each month, and the fact it’s free entry, yes really – what more could you want? Starts at 8pm in our downstairs bar. Get here early because numbers are limited.